The QueensWay can be a greenway unlike any other in the world by tapping into the borough’s rich traditions and cultures. 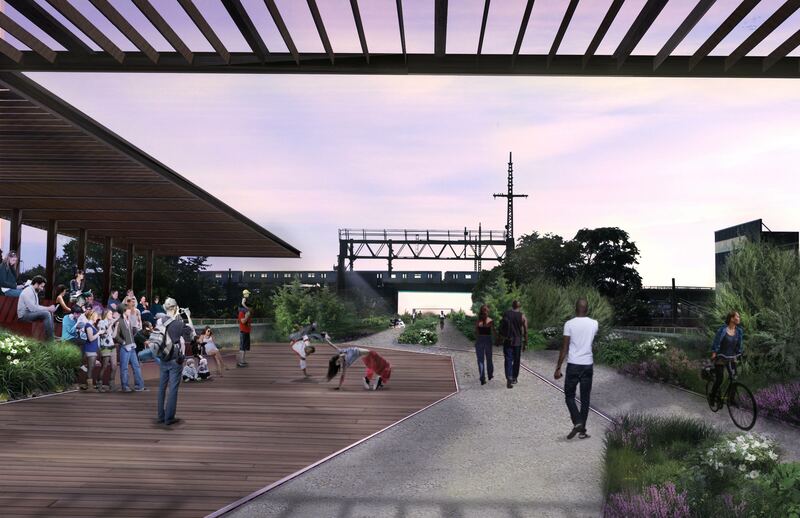 The gathering spaces on the QueensWay, particularly on the viaduct and within the Forest Park Grove, will offer platforms for performances and public art.  In addition, there is an opportunity for adaptive reuse of underutilized buildings, such as the LIRR substation on Atlantic Avenue. New public art will add color, interest and vitality to the park. The corridors that cross the QueensWay are destinations for local food, activities and daily necessities. You can ride a bike from Liberty Avenue, starting out with a roti at Trini Delite; bike to Jamaica Avenue for pollo a la brasa at El Anzuelo Fino; stop at the proposed Glendale ballfields concession area for food truck treats; check out Wafa’s on Metropolitan for shawerma; and roll up Austin Street to Pahal Zan for falafels. Check out all the Queens restaurants in the QueensWay Eats Guide below! 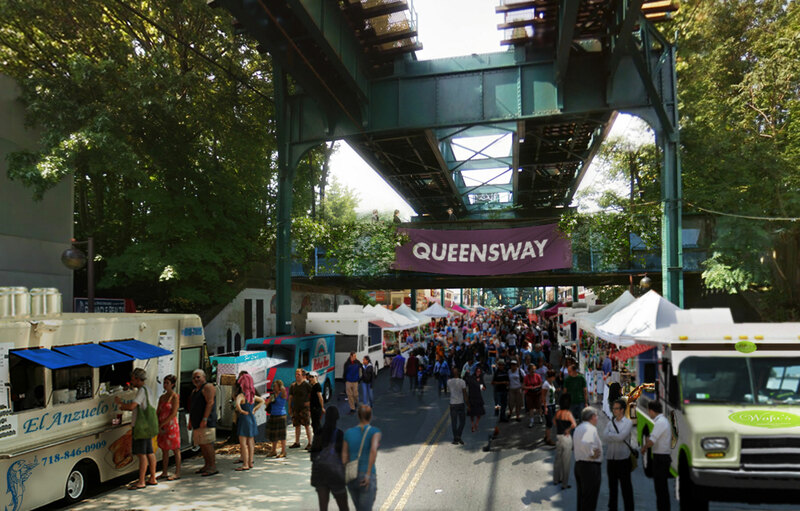 Working with the Queens Tourism Council, the QueensWay can host seasonal food festivals that will draw people to experience the borough’s cuisines, with special priority provided to neighborhood entrepreneurs. 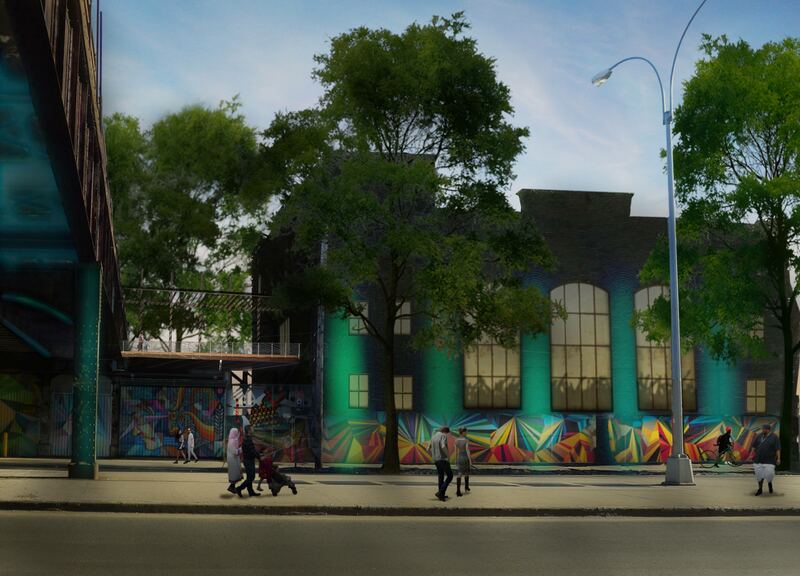 Key spaces along the QueensWay can have food stalls, with adjacent areas such as the Metropolitan Expeditionary Learning School’s parking lot used as food festival venues when school is not in session. Culinary events and spaces will serve as a tasting menu of the borough’s restaurants, encouraging visitors to dine at these restaurants on return trips. The ethnic diversity of the surrounding neighborhoods, which includes New York City’s two most diverse community boards (from NYU’s Furman Center), are well-represented through local restaurants. Based on projections associated with similar projects and with the current annual number of visits to Forest Park (aproximately 900,000), this study projects 1 million visits to the QueensWay. 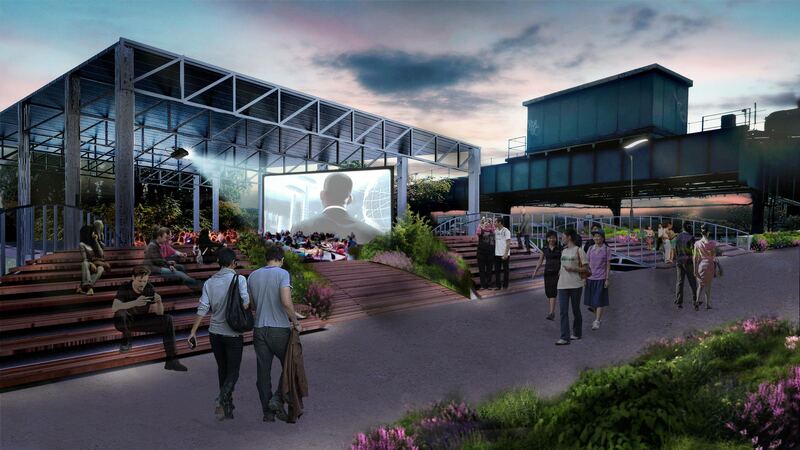 It is assumed that 250,000 of the visitors will be from outside of Queens. These visitors are projected to spend between $7 and $21 per visit, resulting in approximately $2.2 million in new local spending. They will bring new business to restaurants and small shops in the adjoining neighborhoods. Partnerships and strong physical connections to commercial corridors will draw attention to local businesses.